For the past year, six municipalities along with local colleges and universities have collaborated to lay the groundwork for fiber optic infrastructure in the greater Asheville area. The group, West Next Generation Network (WestNGN), is now ready to find a partner to begin hammering out details in order to realize the concept. They’ve released the WestNGN Broadband Request for Negation (RFN) and responses are due September 21st. The plan closely resembles the North Carolina Next Generation Network (NCNGN) in the Research Triangle area of Raleigh, Durham, and Chapel Hill. WestNGN will include the communities of Asheville, Biltmore Forest, Fletcher, Hendersonville, Laurel Park, and Waynesville - all of which belong to the Land of Sky Regional Council. The Council has helped with administration and in drafting the RFN aimed at improving local connectivity and boosting regional economic development. WestNGN’s RFN states that they want to establish a Strategic Alliance Partnership with a single ISP or a group of ISPs that possess an interest in both providing service and in deployment. WestNGN puts negotiation of ownership of assets and use of those assets at the top of the list for discussion points, signaling that rhey aren't set on a fixed approach. Similarly, they hope to negotiate matters such as management, operation, and maintenance of local networks; ways to speed up deployment and reduce costs; and ways to better serve low-income residents. WestNGN plans to bring gigabit connectivity to residents, businesses, and community anchor institutions in the region. They specifically state their priority for this level of capacity, but note that their future partner will have time to gradually implement it, if necessary. They also stress the need for symmetrical service speeds. Several employers in the region have determined that upload speeds - from their offices and for their employees at home - are increasingly desirable. The consortium has recognized that home-based businesses in the region are also multiplying every year. Alexander County, North Carolina, recently released a Request for Proposals (RFP) to find a firm to conduct a broadband assessment and feasibility study. Applications are due July 24th. In addition to examining what type of service and where service is currently available, the county wants a firm that will help create a strategy to improve what they already know is poor connectivity throughout the county. Funding sources should be identified along with helpful public policy suggestions. According to the RFP, approximately 50 percent of 1,954 respondents in a recent indicated that their Internet service did not have sufficient speed. Sixty-five percent don’t have access to broadband as defined by the FCC (25 Megabits per second download and 3 Mbps upload), and about 12 percent use their mobile devices to access the Internet. Sixteen percent noted that affordability is a problem. Approximately 84 percent of respondents indicated that they’d like to have more options for Internet access. Alexander County is mostly rural and home to about 38,000 people. Manufacturing is an important part of the economy but farmland makes up much of its 264 square miles. Taylorsville is the county seat and the only town, with a few other unincorporated communities in the county. Bethlehem, a census designated place is located in the southwest corner of the county and is also somewhat densely populated, relative to the rest of the county. The community is on the west side of the state, about an hour north of Charlotte. The Appalachian Regional Commission (ARC) classifies the community's economic status as "transitional" and the North Carolina Department of Commerce considers it an average economically distressed county. A little more than half of school kids qualify for free and reduced lunches. Unemployment is at 3.2 percent as of April 2017. County leaders hope that improving connectivity within the region will also help diversify the economy and improve the employment situation for residents. North Carolinians, do you feel like your state is 90 - 93 percent covered with Internet access that provides 25 Megabits per second (Mbps) download and 3 Mbps upload speeds? If you live in one of the state's many rural areas, probably not. The state is now providing an opportunity for North Carolinians to verify and comment on FCC mapping data with a new state broadband mapping tool. The state’s Department of Information Technology released the tool in May and encourages residents and businesses to test out the accuracy of their premise data. The map uses FCC acquired from ISPs that report coverage and speeds on Form 477. The data, based on census blocks, typically overstates coverage, creating maps that are unreliable and inaccurate. North Carolina officials aim to correct that. “We want to get better data so we can go back to the FCC and tell them your data says your census block is served, but less than 25 per cent of the people are actually getting service,” says Jeff Sural, director of the North Carolina broadband infrastructure office. 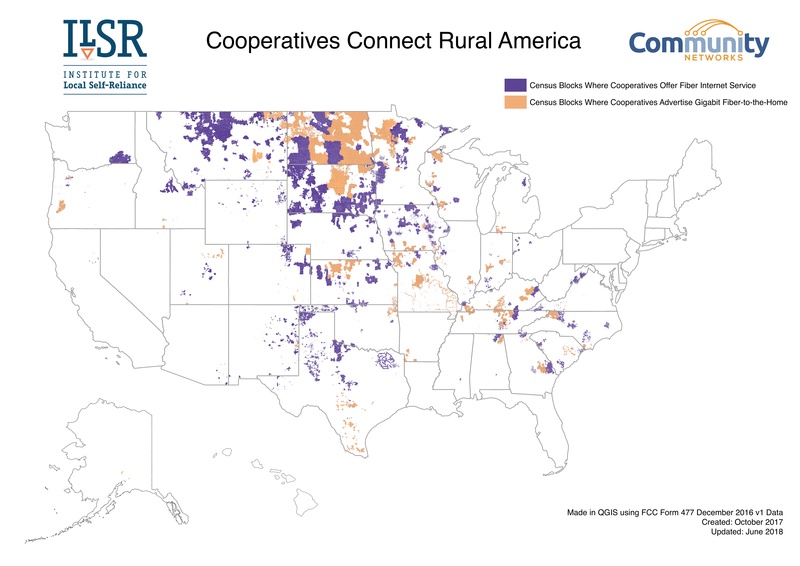 With better data, state officials hope to increase FCC funding opportunities and determine what areas are in the most dire straits regarding lack of Internet access. The tool asks users to review the data that was submitted by ISPs for their address, conduct a speed test, and confirm whether or not they have access to the connectivity that the ISPs claim they do, and if not, provide more accurate information. Once a threshold of users have completed the test to allow the results to be displayed on the map, the North Carolina Broadband Infrastructure Office will begin sharing the results on the map.